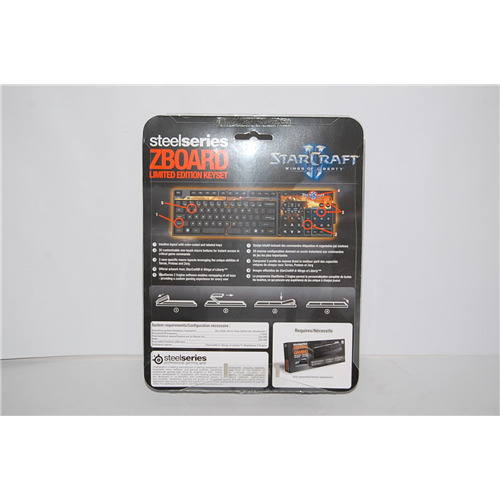 The SteelSeries Zboard Limited Edition Keyset (StarCraft II) is designed for Blizzard Entertainment's release of StarCraft II Wings of Liberty. The customized keyset mounts to the SteelSeries Zboard base and features labeled commands, in-game shortcuts and artwork from the game. 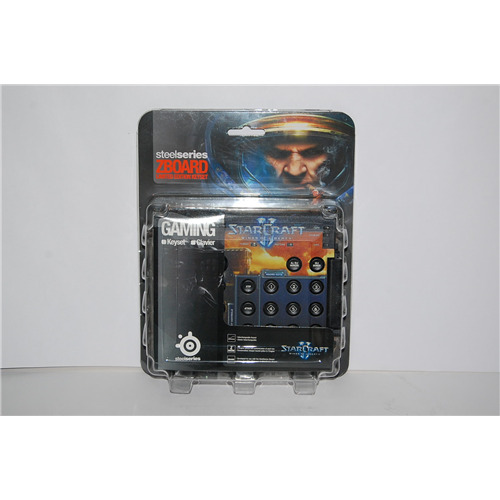 The dedicated Gaming Terrain offers 3 layers of 9 customizable one-touch macro keys for frequent commands. These features are designed to help immerse players in the game, accelerate game mastery, and help increase a players actions per minute (APM).